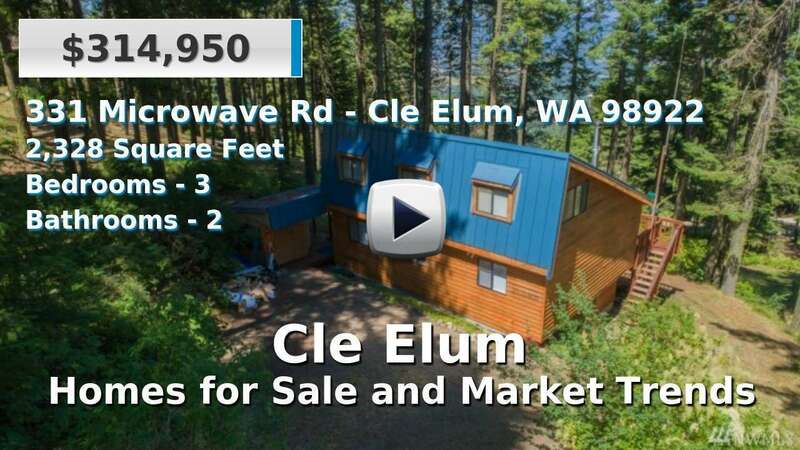 Cle Elum is a community of just over 1,800 people in central Washington. It is a part of Kittitas County and is located just east of the Snoqualmie Pass, one of the only year-round passes over the Cascade Mountains. The small town is situated on the Yakima River south of Cle Elum Lake and the Teanaway Community Forest. The county’s largest city, Ellensburg, is just 25 miles southeast of Cle Elum. Cle Elum was one of the first places on the West Coast to offer “organized” skiing in the early 1920s. It still remains a go-to destination for residents and visitors for outdoor activities, especially winter sports like skiing and snowmobiling. Despite retaining its small town feel and complete rural setting, Cle Elum has begun to see a boost in residential growth thanks to popular resorts, such as Suncadia; which offers homes right on the golf course, condominiums and townhouses. With views aplenty, space to roam and easy mountain access, it's no surprise that most houses for sale in the area are newer, custom lodge-style homes and luxury estates on acreage. 3 Beds | 1.75 Baths | 1486 sq. Ft.
3 Beds | 2 Baths | 2400 sq. Ft.
2 Beds | 3 Baths | 1413 sq. Ft.
2 Beds | 3 Baths | 1367 sq. Ft.
3 Beds | 3 Baths | 1622 sq. Ft.
3 Beds | 3.25 Baths | 3186 sq. Ft.
3 Beds | 1.5 Baths | 2328 sq. Ft.
| 1 Baths | 450 sq. Ft.
2 Beds | 1.5 Baths | 1477 sq. Ft.